The current public discussion of race and the Academy Awards is a time of contention which may prove a time of clarification and of constructive new policies. That process could not possibly be in better hands. To embrace diversity, to understand fully that we all bring unique talents, perspectives and sensibilities which enrich each other's lives is a fundamental principle. As an agency of inclusion, change and empowerment, the YWCA Greater Los Angeles echoes the sentiments of our very own Advisory Commissioner who is also President of the Academy of Motion Picture Arts and Sciences, Cheryl Boone Isaacs. We respect her determination to draw positive change from the "heartbreak and frustration" occasioned by the lack of diversity in this and last year's Oscar race. We know she and the Academy Board of Governors can implement their new policies in a way that confirms the relevance and good intentions of that respected body. As a living, breathing example of the magnificent efforts of inclusion and diversity, Cheryl stands 10 feet tall as the first African-American and third female president of the Academy. And WE stand with her. She's the embodiment of transformation and reinvention of a storied institution that sought a new point of view, a reflection of the world in which we live. There is beauty and brilliance in diversity. We know that Cheryl has undertaken efforts to achieve an Academy membership more reflective of the ethnic and gender diversity of the entertainment industry and of the audience it serves. Now, in the glare of consecutive nominations lists absent of minority acting nominees, she will be able to expedite the mediation of membership inequities. But this is not to imply that members vote for race rather than excellence. It bears observation that we have had recent years of due recognition of minority talents, and that the excellent actor Will Smith has been nominated twice and was not the sole African-American actor nominated in his category in either instance. We appreciate that steps are being made to assure that judgement of performance excellence will be the sole voting criteria. Will is, particularly, an inspirational figure to the young people we serve, instilling in them the all-important "courage to succeed." 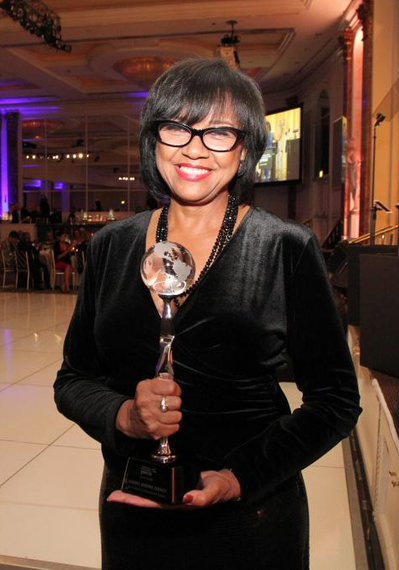 We rely on Cheryl Boone Isaacs to pursue this mission with passion, not because she is African American, but because she is President of the Academy of Motion Picture Arts and Sciences and rigorously pursues its challenges as has been the case with everything she has done to rise to that august position. We have seen the passion in her work, while supporting the mission of the YWCA that ensures access to all that seek to achieve. We have witnessed success that could only prove possible for at-risk youth when given a "chance." She has helped the YWCA Greater Los Angeles build avenues of inclusion. Inclusion is vital and necessary to all areas of our lives, not just this year's Academy Awards. Cheryl's passion, determination and perseverance to ensure that the extraordinary accomplishments of men and women of color in Hollywood are acknowledged, the measures taken to promote inclusion in all of its facets: gender, race, ethnicity and sexual orientation, have provided us with several key takeaways this week. Reflecting on Dr. King's dream and legacy, which our nation just commemorated, we must recognize that there is still work to be done toward inclusion and diversity at all levels - from Wall Street to Hollywood Blvd. Yes, great strides have been made to ensure playing fields are made even, but time and time again, we find ourselves starting over at the starting line. The YWCA Greater Los Angeles could not be prouder to have such a brilliant and forward-thinking partner and collaborator than Cheryl Boone Isaacs. We admire her strength and her vision, and we whole-heartedly support her efforts toward creating a just and inclusionary community for artists. As we continue to shepherd our own mission to eliminate racism and empower women, we salute you, Cheryl, for being a reflection of us and the voice of many who simply want to be heard.